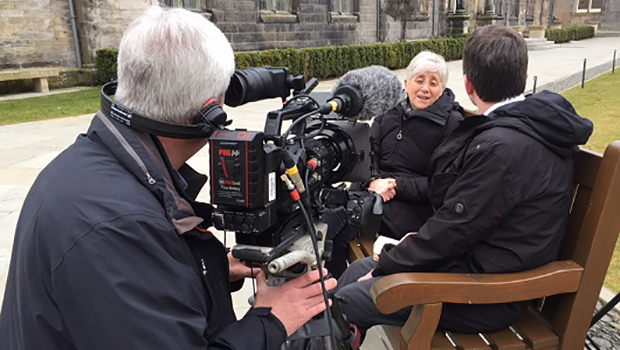 The Principal of the University of St Andrews has given her support to Clara Ponsati, the former Education Minister of Catalonia who is facing extradition under a European Arrest Warrant (EAW) in relation to the Catalan referendum on 1 October. There have been serious concerns expressed about the way Spain is treating the aspirations of the Catalan people, charging pro-independence leaders with the crime of “Rebellion”, which carries a penalty of up to 30 years in prison, for holding a peaceful, democratic referendum on their country’s future. Human rights Lawyer Aamer Anwar has now been engaged to act on behalf of Professor Ponsati, an esteemed academic who returned to Scotland from exile in Brussels, where she had accompanied Catalan President Carles Puigdemont when the threat of arrest became apparent. “Clara is a valued colleague and we are committed to protect and support her. As her employer and an institution committed to the defence of free speech, we are deeply concerned by recent developments, their motives and potential consequences. “It is well established that the Scottish Government supports the right of the people of Catalonia to determine their own future and that we strongly oppose the Spanish Government’s decision to seek the arrest of independence supporting politicians. Stephen Gethins, the MP for North East Fife asked a question in the House of Commons today to the Foreign Secretary as Professor Ponsati is one of his constituents. Mr Gethins expressed his concern that Professor was being targeted by the Spanish state for her political beliefs.